My life – and heart – are full of many special friendships with families and little people – and my connection with each of them is unique. C gives me really ‘squeezey’ hugs and at some point squeezes me even tighter – mostly just his face and his bottom tense without his arms getting any tighter, but I still need to respond like he’s squeezing my neck hard. E considers me her private Disney-Jukebox. At any moment she might name a Disney princess or character and I have to sing ‘their’ song. A will come sit near me on the couch and stick her legs in the air – that’s so I can use her legs as pedals on an imaginary bike and pump her legs around – forward, backward, slow motion or super fast – and take us on imaginary adventures. N doesn’t smile, hug or really even talk – but he fist pumps, with a little bit of a hand explosion and accompanying sound effect at the end. Just leave it at that and move on. B is getting taller but is definitely already stronger than me – her cuddles are fierce and it’s best I take a deep breath when I see her coming before she squeezes it out of me. Z & W have learnt from their father the ‘funny’ art of asking for a high-five but pulling out at the last second and leaving me hanging. Note to self – do not be trapped, do not be trapped! B doesn’t like to be talked to directly too soon – I can talk to people around her and she will watch until she gets comfortable enough to smile – then and only then, should I try to make direct contact with her – anything before then will be met with much resistance. A jumps into my arms, spreads her hands out wide and then gives me a ‘look’ – the look is to prompt me to start saying ‘no, don’t squeeze me, you’ll pop me!’ at which point she squeezes me until I use my finger to make a popping sound with my mouth. She will squeeze indefinitely, it’s best I ‘pop’ early. E asks for a ‘really, really, really, REALLY, big kiss’ – that means that with my lips squished to his cheek I have to swing him around and hang him upside down and shake him until there’s a final ‘mwah!’ at the end. L will give me a hug so tight it ‘pops my head off’ – from time to time he decides to keep my head or swap it with someone else’s. It’s up to me to remember where my head is on any given day. M holds her breath while I come towards her for a kiss – if I stop just before I get there she’ll grunt and lean the rest of the way rather than handle the suspense. H considers me her personal play-equipment – she will launch from anywhere and attach herself to me. If I’m sitting down and she is nearby I should expect high impact contact at some point. Reflecting on these (& many other) special interactions I’m mindful of two things. 1. 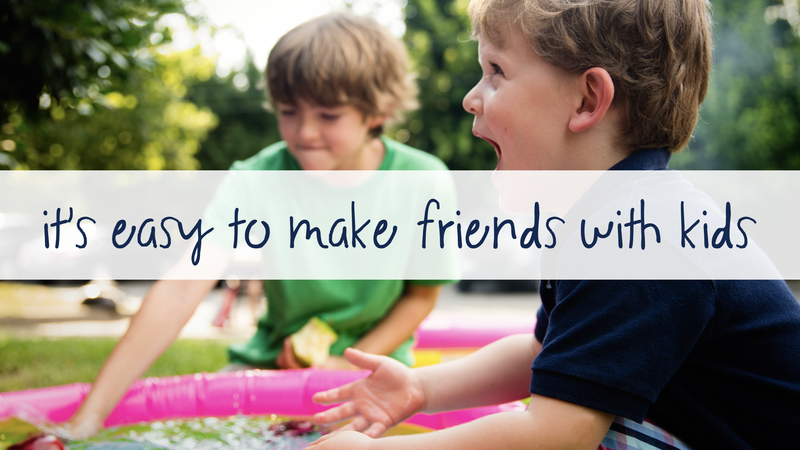 Children respond so readily to any effort we make to know and connect with them personally. So maybe we should do that more often. 2. Adults probably aren’t that different. So maybe we could make that effort more often too.